Case Study: Keeping agile while growing fast. People are able to answer their questions without involving engineering. Keeping agile while growing fast. Everlane is an online retailer of luxury clothing that manufactures their own designs, all while being transparent about the costs and production. Everlane uses Chartio to empower people in many parts of the organization - including customer experience, marketing, executive management, and the data team - while adapting its business intelligence systems quickly to rapid growth. 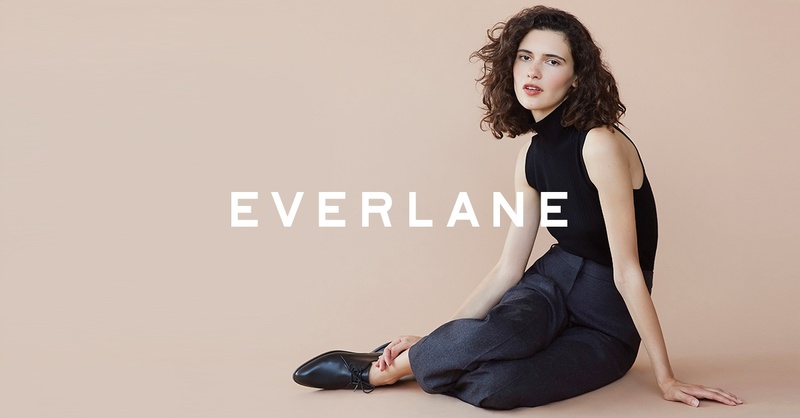 As a fast-growing company, Everlane must manage a large number of disparate data sources, get new employees up and running quickly, empower people who aren't SQL experts, provide powerful tools to data scientists, and evolve their data models rapidly. As a clothing retailer, Everlane must be prepared for seasonal periods of intense activity and urgency. Chartio enables Everlane's data team to remain agile and improve continually. Everlane has a wide variety of data sources, including a MySQL database for its core application, a PostgreSQL data warehouse for analysis, Amazon Redshift for larger data sources, a number of web applications, and CSV text files maintained by individual users. "Chartio makes it possible to analyze data from all our sources, and move data to the most efficient storage as our needs change." "For example, we have a set of customers in a test group that's not defined by a SQL query. We loaded the list as a CSV file and then join it with sales data for analysis. As we reach the limits of what we can do with CSV, we can join the data on Redshift and analyze the Redshift data in Chartio." This level of flexibility allows Everlane's people to work with data, while freeing scarce engineering resources to work on their core product. "A lot of the time, people are able to answer their questions without involving engineering," says Scott. This saves Everlane time and money. "People are able to answer their questions without involving engineering." Everlane's data team used Chartio to create custom columns that pre-process advertising data to give the marketing team a head start on their analyses. "You can buy dedicated tools for advertising attribution," says Scott, "but by using Chartio, we can show advertising data inside our dashboards - just like every other metric." Everlane's interactive advertising dashboard uses Chartio's controls and filters to give people, such as the company's CEO, the ability to plan scenarios - mixing and matching advertising sources to model campaigns with near-real-time data. Meanwhile, Everlane uses Chartio to build operational dashboards for their Customer Experience team. Like most fashion retailers, Everlane's business is seasonal. To keep up with demand during the holiday shopping season, Everlane supplements its full-time CX team with temporary agents. Scott's team has built a dashboard that enables CX employees to use filters to take customer inquiries, navigate Everlane's inventory, and resolve issues quickly. Another Chartio dashboard enables the CX team to monitor their performance. This builds a sense of unity and teamwork in the dispersed team. Chartio makes it possible for Everlane to continually improve its data environment, adapting data models and dashboards as their needs change. Scott takes advantage of Chartio's flexibility to optimize Everlane's data sources by testing his ideas on live data. "I don't know what other people I'd be messing up if I made a change to our schema. But Chartio allows me to quickly and easily create custom columns and data sources - without changing the structures other users depend on." Want to See How Chartio Can Help You? Chartio allows anyone in any organization to easily analyze data and discover new trends and meaningful metrics. Sign up now for a free 14-day trial to find out how Chartio can specifically help you and your business.